I am somewhat of a cosmetic junkie. I love products. I have so much make up and skin care items that I couldn’t use them all up before the expiry dates. I tend to try something for a while and then move on to the next best thing. Rarely do I purchase anything twice. The exception to this at the moment is almond oil. I am onto my second 500ml bottle. I use it to remove my makeup every night with a couple of baby wipes. It is effective and nourishing and you don’t need night cream. Well, I don’t. The other product that I have repurchased is philosophy vitamin c powder, but that’s for another post. 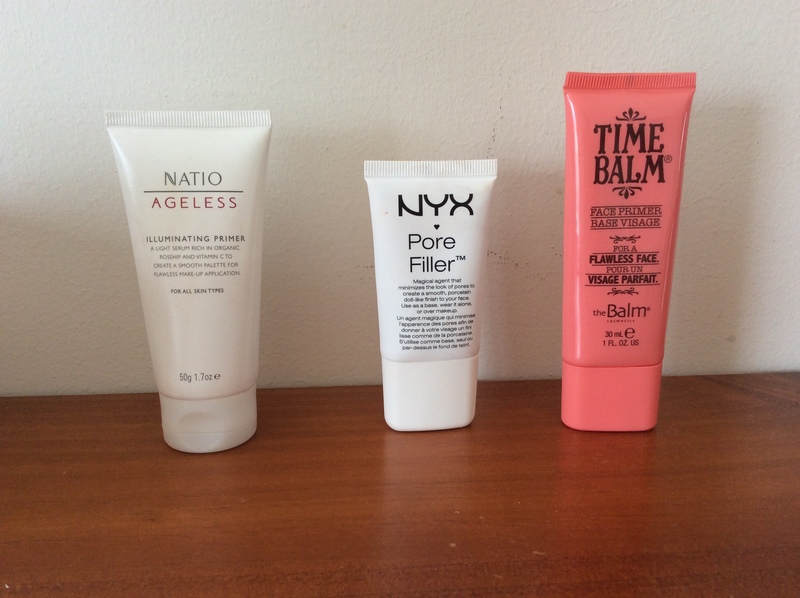 This post is about primers. Time Balm Face Primer 30ml (AUD34.95, US30.00). I have listed the Australian price and the overseas price to highlight how much more we pay in Australia for some things. This has been a concern of mine for years and the reason that I buy most of my things online. (And if the GST goes up, it will force more people to shop online at overseas stores, Tony Abbott). The Natio Primer is more of a moisturiser, the first ingredient being water. It does give a nice glow under foundation but it’s not my favourite. It is made in Australia. I love the ‘slip’ of dimethicone which is the first ingredient in the NYX. This is a good primer which can also be worn over foundation, something I have not tried. The price difference is rather disconcerting between here and the US. The Time Balm primer also has dimethicone as its second ingredient and has the same ‘slip’. I loved this primer for a long time and couldn’t get it in Australia and it was out of stock in Hawaii but now David Jones stock this brand. At least it is priced nearly the same as the US. Benefit ‘that gal’ brightening face primer 11ml (AUD53.00, US29.00). The Almay is purple and green, purple to even out skin tone and green to correct redness. I don’t know whether or not it lives up to this claim but it is more moisturiser and dimethicone is down the list of ingredients. It feels smooth on the skin when it dries and works well under foundation. The price is double in Australia. L’Oreal Lumi Magique also has water as its first ingredient but it does make your skin glow. It is pretty expensive for 20 ml but a little goes a long way. Benefit also has water as its first ingredient but it is very brightening. I would not use this as an all over primer unless you were going for the very shiny almost wet look! It works great as a highlighter down the middle of your nose and cheekbones etc. It is also expensive and 11ml!!!! Look at the price difference between here and the states. I hope when sephora opens in Sydney that they don’t let us down with the prices. Otherwise, I would prefer that the overseas stores didn’t come here and we can continue to buy online. Clarins Instant Smooth 15ml (AUD38.00, US35.00). I consider both these primers as spack fillers and I use these after foundation to fill in the lines and craters around my face. I have not used them all over as a primer but they work very well over make up. They are both full of dimethicone which is the filler part. 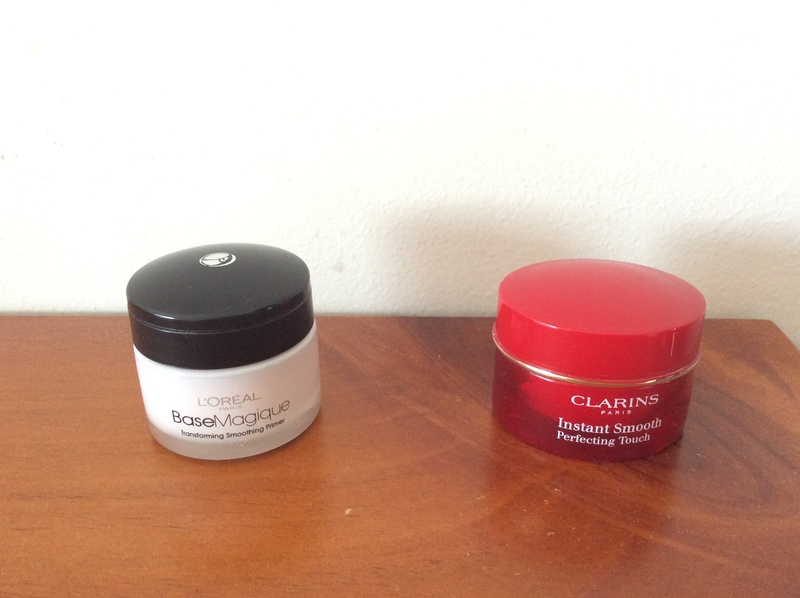 My preference is the Clarins and the price difference is minimal so we are not paying more than everyone else. I am quite shocked at the L’Oreal price difference. 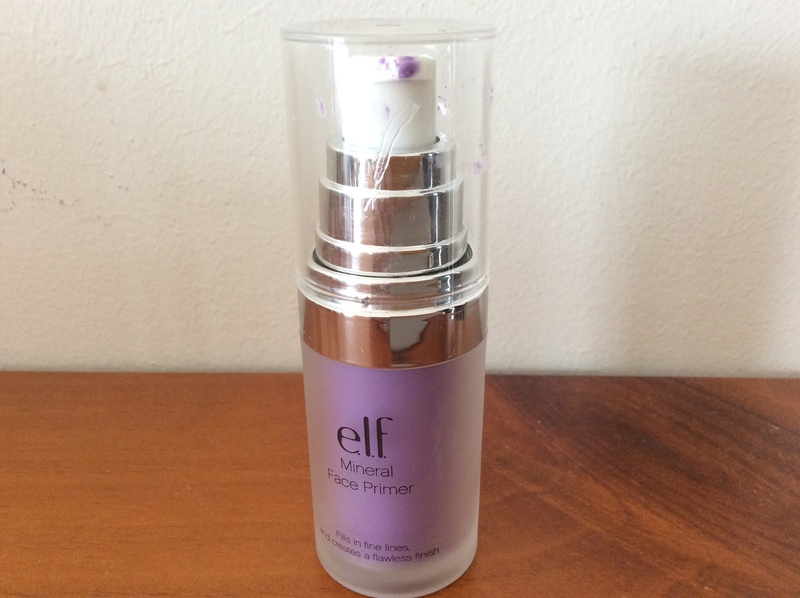 elf mineral face primer 14ml (AUD12.00, US6.00). Forget that we are paying double and just stock up when you travel. Although at AUD12, I can cope. You don’t get very much at 14ml, but you only need one pump. Any more and your foundation ‘balls’. It comes in 4 varieties, clear, green, lavender and radiant glow. It is full of the magic ingredient (the ingredients are almost identical to the Clarins) and it has a pump dispenser, unlike the Clarins and Base Magique. It instantly smooths and fills and I love it. You can get it at Kmart. So that’s it, my review of my current primers. Sorry it has been a long post but I do have 9 of them! 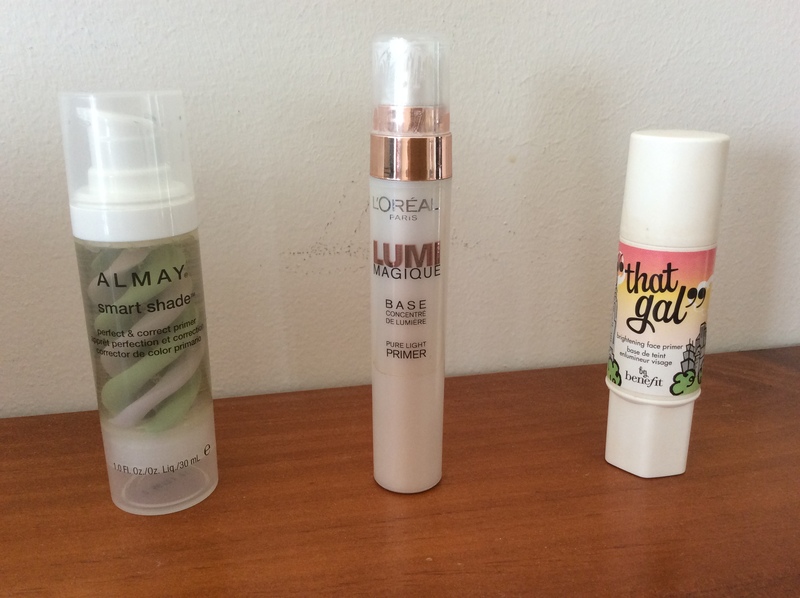 This entry was posted in beauty, shopping, Uncategorized and tagged Almay, benefit, Clarins, elf, L'Oreal, Natio, NYX, Time Balm. Bookmark the permalink.